AdBlue Emulator EURO 6 NOx compatible only with MAN trucks and can’t be used for other MAN truck series or vehicles made by other manufacturers. This installation manual describes all steps necessary for correct AdBlue Emulator device installation on compatible MAN EURO 6 vehicles. We highly recommend you to delete all diagnostic errors from OBD system before proceeding to the installation process. The best option is to use MAN T200 diagnostic scanner. If you noticed new OBD DTC errors after installation of the AdBlue Emulator, please check the system again with the diagnostic scanner. There might be errors related to incorrect installation. This emulator doesn’t require an additional programming or learning and we sell it ready to use. MAN EURO 6 emulator comes with a plug for direct connection. Fuse F737 is the main fuse of the emulator from now. Fuse F1109 is the fuse of downstream NOx sensor. A1191 exhaust temperature sensor fuse. This sensor needs should work correctly, it is necessary for Diesel Particulate Filter regeneration. The last thing that you need to do is to disconnect power from NOx downstream sensor. There are two ways to do it. You can cut the PIN number 1 on the sensor plug. The other and the much better way is to remove the pin 10 from X3212 plug. This plug is visible on the right side at the rear of the engine. It’s a TE plug of sixteen pins with the yellow key. 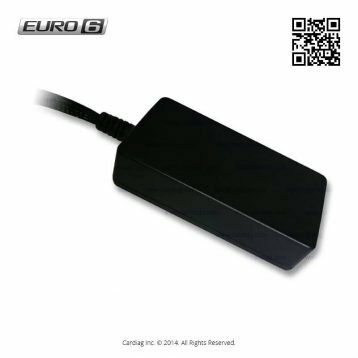 AdBlue Emulator EURO 6 NOx installation manual for MAN trucks was last modified: May 18th, 2017 by Cardiag Inc.